There is a multitude of web design companies for you to choose from. 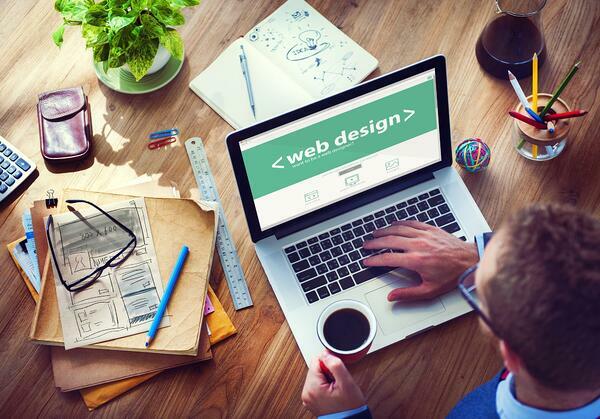 When you plan for a website design or redesign, it’s best to search for a company that offers integrated services to fully support your digital needs. Hiring a single company to provide strategy, design, development and Inbound marketing services will help your business to stay organized. When the same people who built your site develop your marketing strategy, you can be sure that they understand your goals and know how your site works to leverage it effectively. Additionally, when you work with a company you can trust, you’ll be happy to know that you can turn to them for all of your web-related needs. Will They Charge You Before the Work is Finished? Typically, web development companies may ask for up to 50% payment up front with the balance due when the website launches. Initial payment helps get the project going, but if you pay the whole balance up front, there is no guarantee that your company will work with you through changes until you’re completely happy with the project. If they want more than 50% of the project cost up front, it's in your best interest to keep looking. Additionally, If they suggest working without a contract, don't bother continuing the conversation. A contract is essential, as it protects parties, outlines responsibilities, delivery timeline, and other expectations. To avoid any unwanted surprises down the line, work with a company that provides a clear contract and does not ask you to pay before your site is finished. Do They Have a Strong Portfolio? A good web design firm will be willing to share a portfolio of completed sites. Their own site may be stellar, but if you are less than impressed with their previous projects, that's a big red flag. If you are paying for a professional custom design firm, their work shouldn't look like it was created from a standard template either. Look for a company that has a diverse portfolio for a variety of industries. You’ll want to choose a company that can create the ideal website for a variety of goals and needs. They work a full time job and are only designing websites as a secondary job to rake in some extra cash. When you need their help, they are at their real job. They are a newcomer to the industry and don’t have much real experience. They want the opportunity to upsell you on more expensive packages for SEO, Social Media, or Inbound marketing. A surprising number of agencies outsource their work. Outsourcing can turn out fine; however, outsourcing can create inconsistency in terms of process, talent and relationships. When you don’t get to meet with the people working on your website, or worse, you think you’re meeting those people but they’re secretly outsourcing work, you can’t be certain you can trust your designers to meet your expectations. Find out if the business you are interested in has the full project team in-house, meet the team, and ask when they can begin your project- this will help to ease your mind, knowing that you are hiring the team they are proposing to be. Who Will Make Changes to the Site? What type of system does the web design firm have if you need to make a change to your site? Do they offer content management systems that will enable your business to make certain changes on your own, or will you have to go through a long string of e-mails and phone calls? It’s important to choose a web design firm that’s responsive and will make changes quickly and easily. To make changes on your own, look for a company that offers training to ensure that you are completely confident you can make certain changes on your own. When your website is finished, there should be no doubt in your mind that you can make any changes you might need down the line. Our custom CT web design solutions are built around your individual needs, and focused on your specific messaging, functionality, and inbound lead generation needs in mind. Our state of the art knowledge and continuous research and development efforts always take advantage of the newest technologies, insuring your project will be cross platform compatible, mobile ready, and easy to use. Over 20 years and a thousand projects, we have continually improved our process for understanding your business, defining your goals, performing a competitive analysis, translating your message to a compelling website, and integrating calls to action. This one-of-a-kind approach and unparalleled level of experience leads to the creation of new business and measurable marketing results.